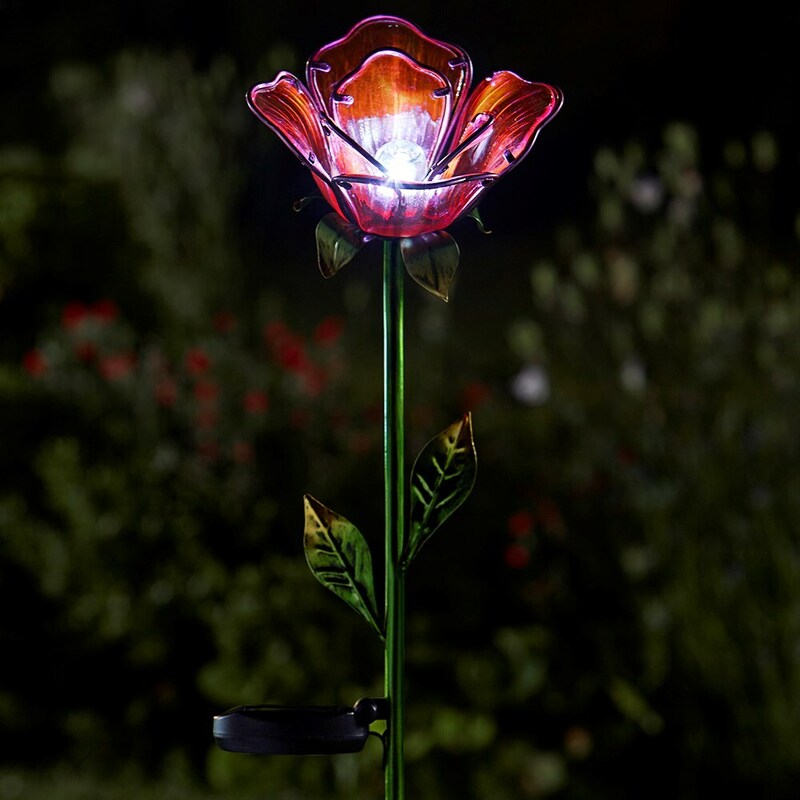 These elegant rose LED lights add beauty to the garden by day and ambience at night. Placed in a pot or border in direct sunlight, the solar powered stakes will recharge fully during the day. A smart sensor illuminates them automatically at dusk and turns them off at dawn. 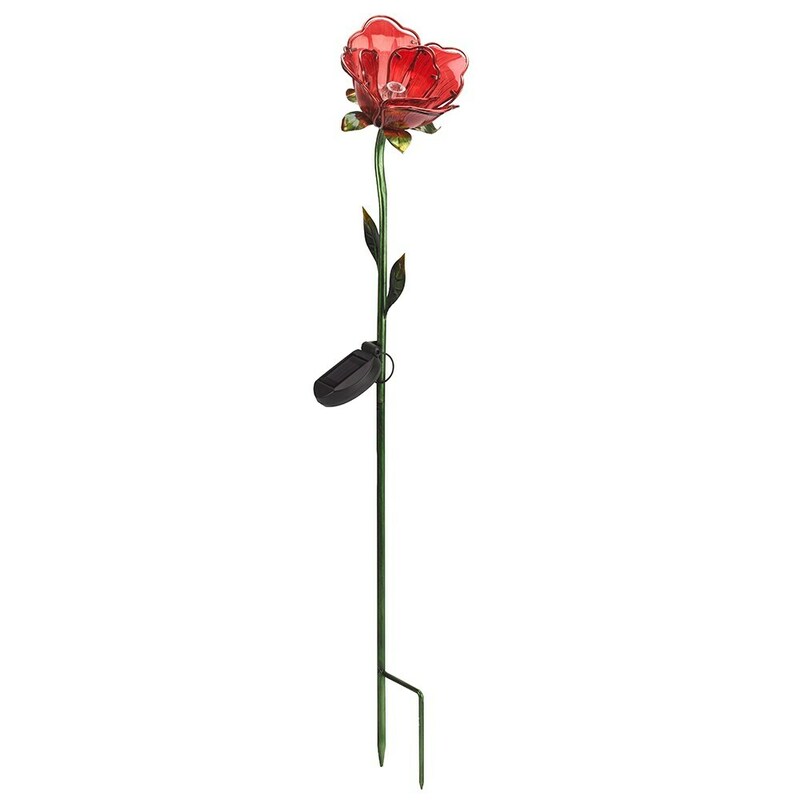 Glass rose with durable metal ground stake and solar panel. Requires a single AA rechargeable battery (supplied). Two roses supplied.